We have partnered with the finest florists around the country to fulfill your flower orders. 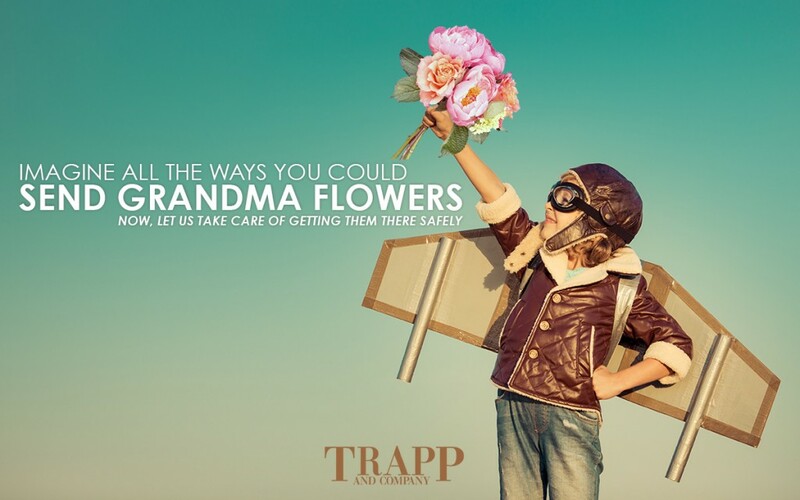 When you use Trapp and Company to send flowers nationwide, we promise to guarantee your order will arrive with the same dedication and attention to detail that you would expect when receiving flowers directly from us. Though the preferred network of FTD florists we would be honored to send: Funeral Flowers, sympathy flowers, birthday flowers, anniversary flowers, new baby arrangements, romance, everyday bouquets, roses, peonies, tulips, etc. For over forty-five years Trapp and Company has assisted clients in creating their visions with a splash of style through our award winning, striking floral arrangements, lavish event productions, and stunning interior design services. Founded in the fall of 1969 by Bob Trapp, Trapp and Company has since become one of the Midwest’s most respected floral and interior design firms, and a Kansas City staple known for its distinguished style and impeccable taste. Trapp is also the home of the world famous line of Trapp Candles and Scents, which were invented in the basement of the shop by Mr. Trapp himself. Along with candles the store continues to provide world class customer service and handpicked gift ideas fit for any budget. With no signs of slowing down, Bob and his staff feel honored for the continued support of their clientele, and look forward to many more years serving the greater Kansas City community with the most unique gifts, floral arrangements and style. Our company history is always growing and we look forward to growing our relationship with you. Thank you.